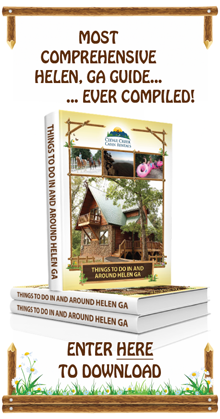 Although the Alpine village of Helen is best known for its ties with German culture, you'll still be able to enjoy all of your other ethnic favorites in order to keep your taste buds happy. Spice 55 is a newer addition to Helen's landscape, but it's quickly made its mark on both locals and visitors. Offering fine Thai cuisine and a Japanese sushi bar, you'll have the opportunity to try something new and exciting during your stay with us. Whether you like it hot and spicy or mild and sweet, you're sure to find something that will hit the spot when you take in a meal here. Find out for yourself why so many people are going crazy about the food at Spice 55. It wasn't until 2013 that Helen was graced with the exciting new flavors offered by the chefs at Spice 55 Restaurant. The eatery offers its guests the opportunity to enjoy a fine dining experience with upscale decor, skilled chefs, and superior dishes without ever being pretentious. You'll feel welcomed by the courteous and friendly staff, and will quickly relax in the cozy charm of the dining establishment. Authentic dishes are prepared with care. You'll have the ability to chose from a number of Thai and Japanese delicacies that are simplistic in nature, and yet extremely flavorful. It's really no wonder that Spice 55 is quickly climbing its way up the ladder and becoming recognized as one of the best places to eat in town. 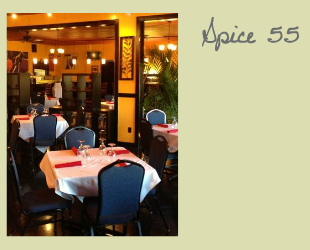 Patrons of Spice 55 are able to enjoy both fine Thai and Japanese cuisine. Those who prefer Thai food might want to get things started with a leaf wrapped Mieng Kum featuring lime, ginger, onions, roasted peanuts, and coconut. Thai beef jerky, chicken skewers, basil rolls, and the restaurants own spring rolls are also popular options. If you're dropping in for lunch or are just trying to keep things on the lighter side, you'll have several great salads to choose from. The Plah-Tha-Lay is a traditional Thai salad and includes shrimps, scallops, and squid. For those who desire "turf" over "surf", there's also the Thai beef salad or the Larb-Ka with minced chicken. Vegetarians will enjoy the Somtum-Green Papaya Salad with green papaya, ground peanuts, palm sugar, and lemon juice. Pair your salad with Tom Yung-Kung shrimp soup or Tom-Kha-Kai chicken soup to round off your meal. For folks with a heartier appetite, you'll have no shortage of options from the chef's specialty menu. Spice 55 chicken with chunks of pineapple, cashews, and mushrooms is a very popular dish, as are the various curry dishes, including red curry, green curry, Panang curry, and Masman curry. Seafood lovers should ask about the Pad-Cha-Seafood platter, Plah-Sahm-Lod with Chilean sea bass, Salmon Ginger Sauce, or the jumbo shrimp and sea scallops. For a more unique flavor, try the rack of lamb with black pepper sauce, or the crispy d uck. Do you prefer Japanese cuisine? No problem. 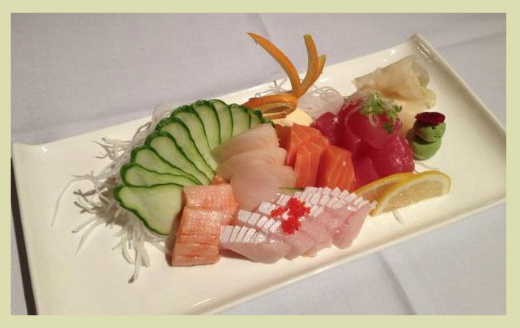 Spice 55 also serves up favorites like edamame and miso soup to warm up your appetite to an extensive sushi bar menu. You'll find everything from the ever-popular California roll, spicy tuna roll, and rainbow roll to Spice 55s on special supreme roll creations. You'll also have plenty of options for ordering Nigiri Sushi and Sashimi. Dig in! Those who choose to enjoy food and drinks at Spice 55 will find that special dishes are nearly always on offer, and various discounts are available throughout the year. The restaurant typically takes advantage of holidays in order to offer a special menu for patrons to order from. During the summer months, you'll have the ability to try a limited time dessert - decadent mango sticky rice. It's the perfect way to finish your meal. You can also take advantage of the current coupon for 50% off special Happy Hour drinks. The coupon can be printed directly from Spice 55's website. Be sure to check the site regularly for new coupons and special offers. Before dropping by Spice 55 restaurant, you should be aware of the fact that the eatery is not open on Mondays, so plan accordingly. Normal business hours are Tuesdays-Thursdays from 11am - 9pm, Fridays from 11am - 10pm, Saturdays from 12pm - 10pm, and Sundays from 12pm - 8pm. The restaurant features plenty of indoor and outdoor seating to meet your various needs. Those visiting the Helen area with pets may even enjoy a meal in the fresh mountain air outside on the patio, with Fido in tow. It's a great place to enjoy a meal with the entire family. What are your favorite types of ethnic cuisine? Let us know and we'll help you find a restaurant to match your palette!